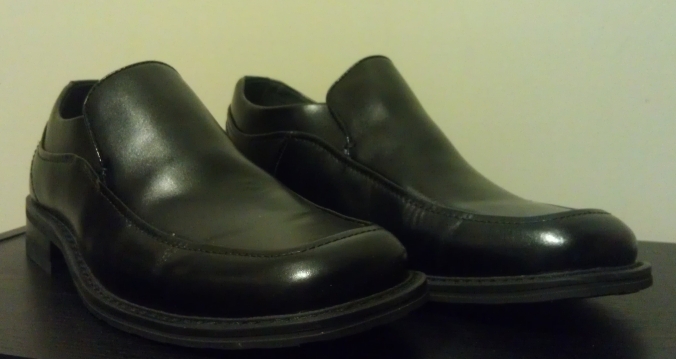 I think I've found my favorite pair of shoes in the latest black slip-on Florsheim shoes that my wife picked up for me a few weeks ago. At this point they are still not broken in and rub my ankles raw if I have them on for any length of time, based on past experience I'd estimate I have a good 4 weeks before they are "comfortable" enough that my feet won't hurt after wearing them. So you may be asking yourself, why is this guy think these new shoes are so great? Because they look awesome, mind you I'm not saying they make ME look awesome. They are simple with clean lines, they have a nice shine, and I really like the way they look. The reason I like the way they look is because I like anything that has a minimalist feel. I enjoy pieces that don't attempt to look good by having tons of extra "stuff" that just isn't needed. 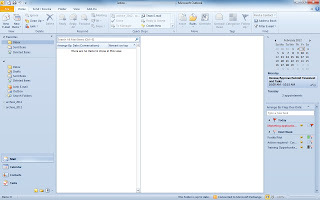 This is also something I've found very appealing in the UI for the 2010 version of Microsoft Outlook. In particular to be able to shape the UI so that you only need what is necessary while performing various tasks. 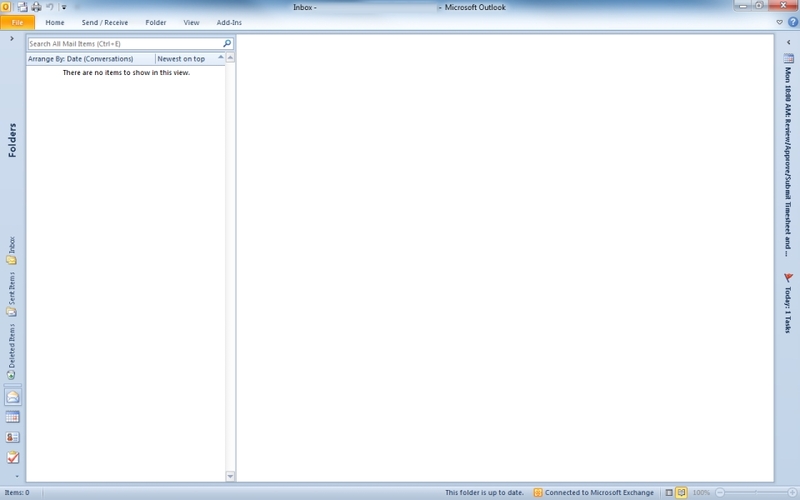 Below are the two views I switch back and forth between while using Microsoft Outlook. Since using e-mail at work is synonymous with breathing it goes without saying that I spend a substantial amount of time using outlook; however, I would guess (meaning I haven't done any actual measurement/testing) that I spend far less time looking at my e-mail. The reason I believe this to be true is because I do not fear my inbox. It is NOT a source of stress for me. One way I accomplish "conquering my inbox" is by switching to the "reading view" (as the name implies) when I need to focus on responding to messages. This view allows me to focus on reading my e-mail and responding as needed. When I to organize, archive, setup tasks, manage my calendar, etc. I switch to the default view. However as a rule I DO NOT leave outlook in the default view, so as to encourage focusing on messages as they arrive and not the other tasks as listed previously. This often results in my being able to read and absorb more information from my e-mails. Just as with code, if the viewing area for displaying lines of code is larger you tend to get a better "overview" of what the code is attempting to do. 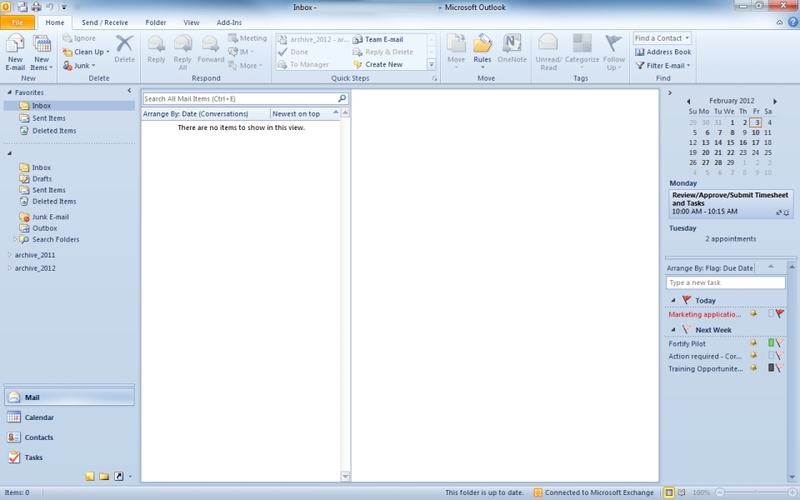 The same holds true (at least in my case) of the reading pane in Outlook. If you can see more of the e-mail thread at one time you tend to absorb more of what has transpired, this is often helpful when you are looped into a discussion after it has been initiated. 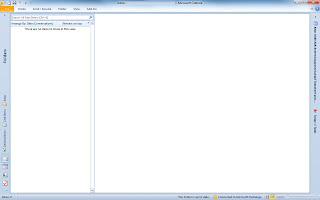 To toggle between the two views there are two tiny icons located in the bottom right corner of the window next to the scale slider as depicted in the image here.